Portland’s Alien Boy may be a new band, but Sonia Weber has long been part of the city’s independent music scene. With Alien Boy, she culls from her self-ascribed influences such as Alkaline Trio, The Wipers, and The Smiths, finding ways to take bits of these disparate sounds and make them her own. The A.V. 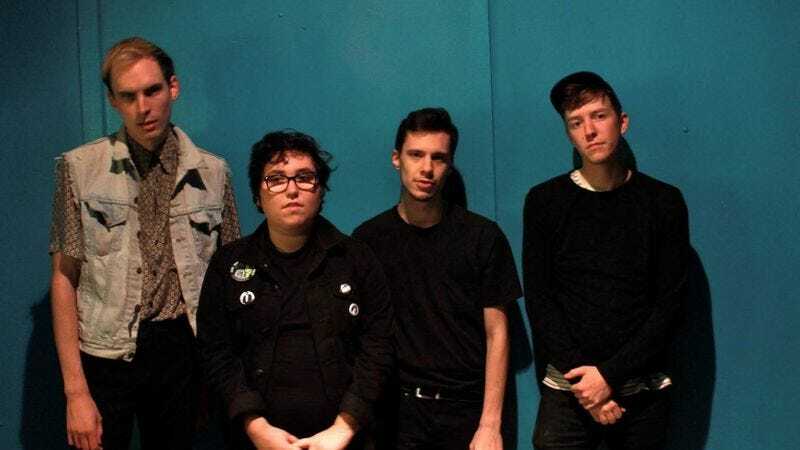 Club is premiering “Don’t Speak” below, ahead of its digital release tomorrow, and Alien Boy’s upcoming 7-inch on Good Cheer Records. On “Don’t Speak,” Alien Boy makes the most of its varied points of references, taking chunky power chords, whimsical lead guitar parts, and forlorn lyrics to make a song that’s able to bounce while still being a bummer.